Daily Launch is an exclusive member benefit that ensures readers are informed on relevant issues affecting the aeronautics and astronautics industry. Sections in the briefing include: Leading the News, Aviation and Aeronautics, Space and Astronautics, Legislation and Policy, and AIAA in the News. AIAA is the world’s largest technical society dedicated to the global aerospace profession. 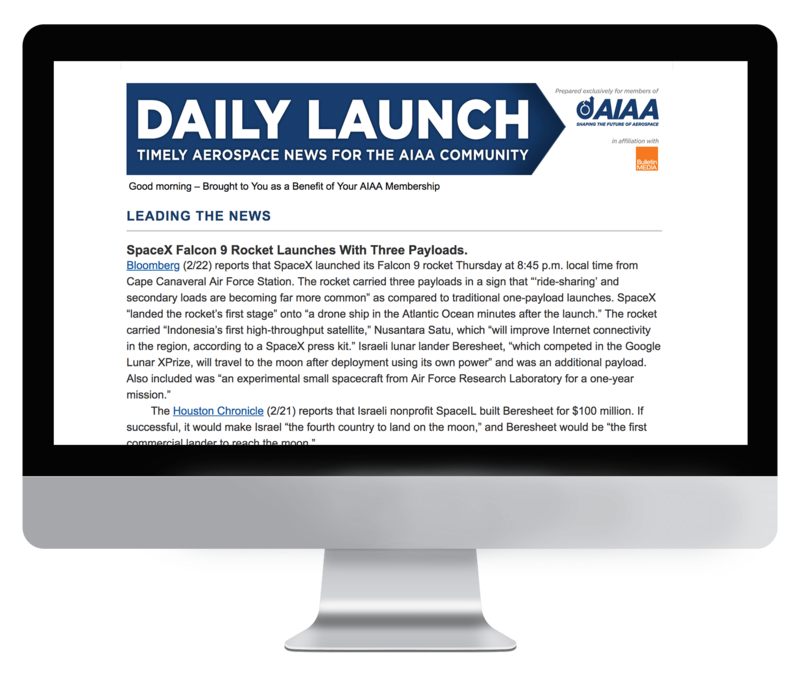 Subscription to Daily Launch is exclusively limited to AIAA members. If you are a member of AIAA and would like to receive this briefing, please reach out to the association directly.